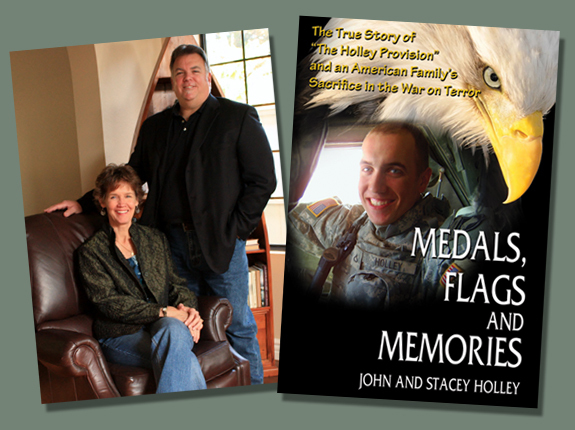 On November 15, 2005, John and Stacey Holley unwillingly became Gold Star Parents. Their son and only child, U.S. Army Specialist Matthew John Holley, was killed along with three other Soldiers when an IED exploded under their Humvee while on patrol in Iraq. Racked with grief over their son’s death, John and Stacey’s sorrow turned to outrage when they learned that Matthew’s casket would return to San Diego’s Lindbergh Field as common freight. There would be no honor guard to welcome this fallen hero back to the nation of his birth. Instead, Matthew Holley’s remains would be transferred by forklifts and baggage handlers, like a crate of auto parts. Determined to welcome their son home with honors befitting his sacrifice, the Holleys embarked on a quest to challenge the law, and to begin a journey of healing that would touch the lives of Gold Star Families across the country.